King of the planets, that is. If you are looking up in the night sky these days at that bright object high in the sky, behold Jupiter. It’s well placed for viewing, being on the opposite side of the sun from Earth. There are no other bright stars nearby, so there’s no mistaking what you’re seeing. Tonight the moon is nearby. 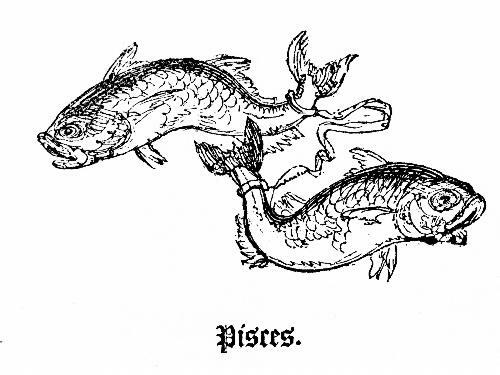 At present Jupiter is in Pisces, the constellation of the fish pair. And there’s an interesting theological connection for this group of two fish. 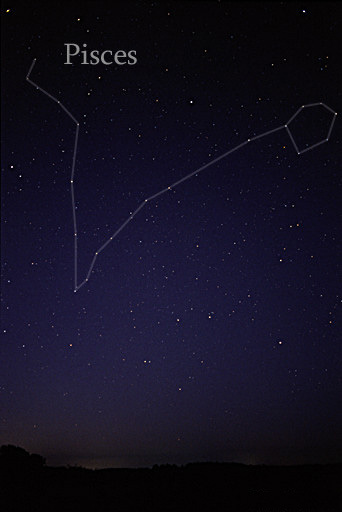 Is it a happy accident that the constellation of Pisces receives the sun each year as winter turns to spring? You know that the fish is connected symbolically with Christ and the Eucharist. You also know that Lent into Easter is a time for Eucharistic renewal in Christ. It’s a bit more palatable to some Christians than the astrological significance of Pisces. Over the next few months, the sun will trace its own path through the constellations. Jupiter will still be visible until Spring. If you look up in the sky each night as winter sails by, Jupiter will appear closer and closer to the western horizon as the weeks and months pass. What is actually happening is the Earth is progressing in its orbit around the sun. So from the Earth’s perspective, the starry background behind the sun changes. … the two fish connected at the tail don’t stand out really well. And God doesn’t provide the telltale lines between the stars to help you. You’ll need a telescope to ferret out a few details. Even so, there not a whole lot in the constellation of great interest to astronomers. The third-closest white dwarf to the sun is in Pisces, Van Maanen’s star, only eighty-four trillion miles away. So if it’s not too cold out, look high above the horizon. Find that bright planet. For the next few months, you may be able to make out that large and faint “V” behind the king of planets. There are unseen riches deep in these stars. Waiting for explorers. And for the King of the Eucharist, more riches for those who seek him in the sign of the fish. This entry was posted in Astronomy, constellations. Bookmark the permalink.